As announced at the Scottish Rally Championship Gala Awards evening last week, (18th November) one of the UK’s leading providers of Transport and Logistics services ARR Craib, will become title sponsor of the MSA Scottish Rally Championship for the sixth consecutive year in 2018. 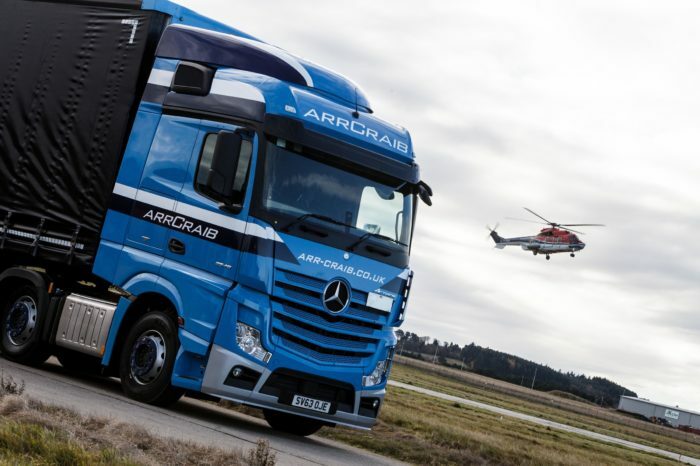 ARR Craib Transport Ltd, which has bases in Aberdeen, Cumbernauld and the north of England, first became involved with motorsport as a stage sponsor of their local event, the Granite City Rally. In 2013, the firm joined forces with the Scottish Rally Championship for the first time which ensured the series would retain its status as one of the most popular rally championships in the UK. Details of the 2018 ARR Craib MSA Scottish Rally Championship have recently been revealed which will see seven all-gravel rounds make up the calendar, kicking off with the Snowman Rally in Inverness on 10th February. The format of the championship will remain largely unchanged from this year but organisers will soon be announcing a host of incentives which will further enhance the series. “We are delighted to welcome back ARR Craib to the Scottish Rally Championship for a sixth consecutive year” says Scottish Rally Championship Chairman Gordon Adam. Eddie Anderson, Chief Executive Officer of ARR Craib Transport Ltd, said he looks forward to further strengthening the very strong bond between the firm and the series. He added: “The Scottish Rally Championship has always been one of the country’s most popular motorsport events but in recent years, with the foresight and vision of the current organisers, it has become a must-do championship for both drivers and spectators. The ARR Craib Scottish Rally Championship has produced both British and World Rally Champions since its inception in 1968, including the late Colin McRae. Keep up to date with all the latest news via the website, Facebook or Twitter using the hashtag #SRC17.